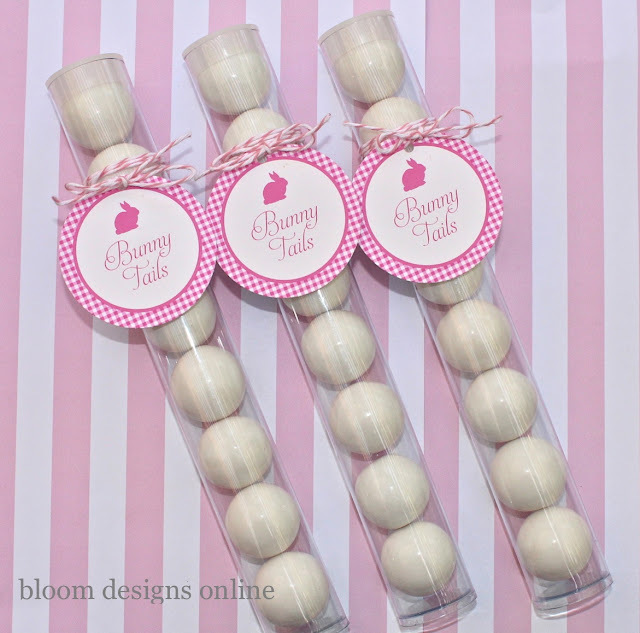 Try as I might, I couldn't let Easter go by without a gumball tube idea. I love these tubes because no matter what how you fill 'em, they just scream "cute." Of course, any white round objects in a bag could pass as bunny tails. I will happily send you the tag if you become a person in bloom (right sidebar). or like bloom on Facebook. Just make sure to leave a comment with your email. Get those creative ideas hopping. By the way, these tubes are available in my store along with a lot of other new party items. 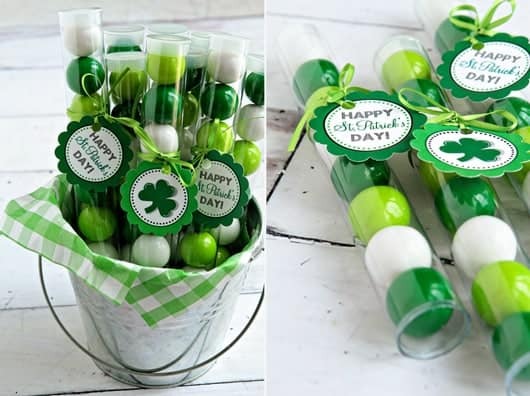 Hope you have some green fun tomorrow! Look at the amazing St. Patrick's Day tubes made by Jamie at My Baking Addiction. I was so excited when she order them because I knew the tubes would be fabulous and they are. Her coworkers are so lucky! 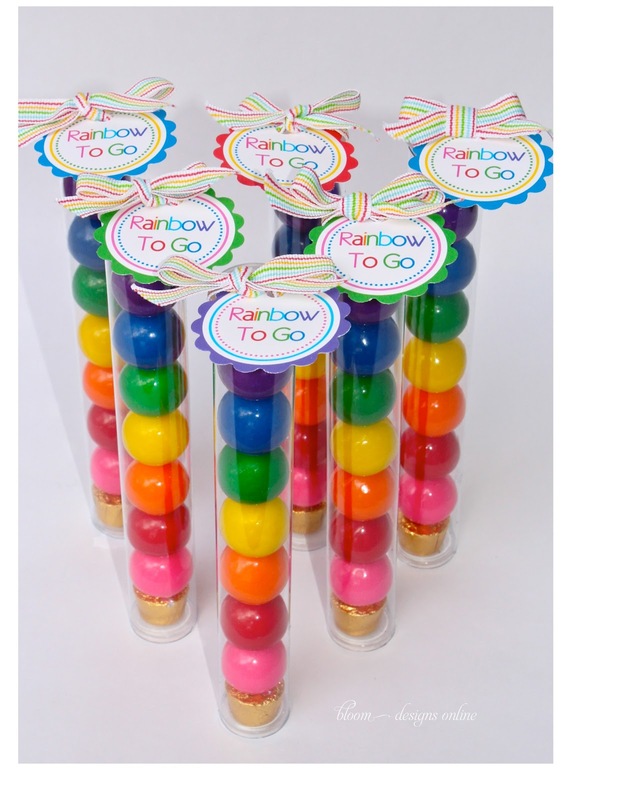 Did you get a chance to see the rainbow gumball tubes I did for Ucreate with a "pot of gold?" Great for St. Patrick's Day and a rainbow themed party! Same guidline apply for this tag. Hope you're lucky this weekend! and how ironic..i JUST sent out my daughter's 1st birthday invites TODAY...apple of my eye theme! Will DEFINITELY be contacting your etsy shop for some goodies!! Love these bunny tails. I became a person in bloom. Please send me the tag. Your Bunny Tails idea is the cutest. Please send me the tag too. Saw you on I Heart Naptime and just joined! 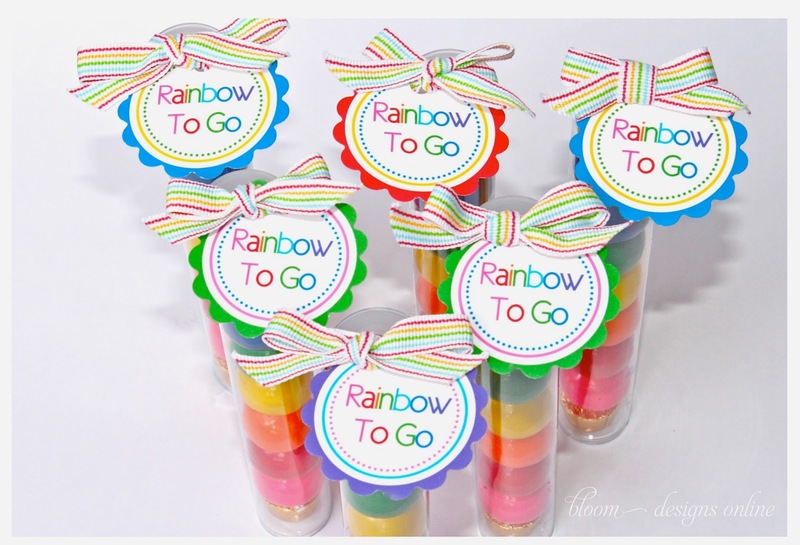 I would really love the rainbow tags for my daughters birthday party, coming up. 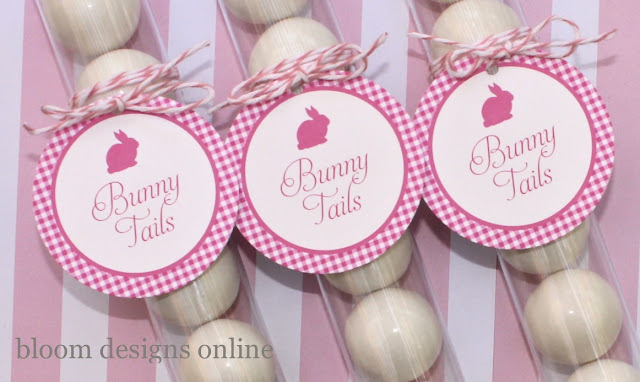 If I can request two awesome printables, I would love the bunny tails as well. My class would get a kick out these! As always these are adorable!!! Love them. I hope you will link up to my Hippity Hop Easter Project Hop. How adorable!!!!!!! I love the little tags! these are really adorable! and i really love all your ideas with them! off to check out your shop! Following you on Pinterest. What cute cute stuff!!! Hi! I follow your blog and follow you on Pinterest. I would love the bunny tails and rainbow to go for my daughters upcoming Wizard of Oz party. I love your ideas!! I follow your blog, on Pinterest and am a FB fan. I am a follower and would love to have the tags for these awesome gumball designs! All of them, pretty please!!! I am a follower and "like" on Fb. I will also share with my readers. I hope you will link these up to The CSI Project. The challenge is Embossing and paper crafts. You can link as many as 3 projects and we are having a great giveaway! Come back every week for a new challenge! I would love to have these printables. Adorable. I follow you on FB and Pintrest. Thanks so much for the awesome ideas!! Bunny tails! How cute is that??? Love it! I follow you by email updates. I would love the printable for the easter tags. What a cute and easy idea!! You have the most adorable stuff....would love To have the tags for bunny tails AND the tag for the rainbow tubes! And Bunny Bait too! Please! I will head over to your store and order the tubes! I love your blog. Your bunny tails tag is so cute. I joined your blog and I am also following you on pinterest. I would love to get a copy of your tags. So cute! This is a feature today on Fun Friday Finds. I hope you can stop by and check it out. If you'd like to grab a featured button while you are there that is wonderful. precious!!!! would love to get the tags for these. i follow your blog and also follow you on pinterest. thank you so much for sharing. you are so sweet and extremely creative! Hi there! I would love to be able to print the bunny tail tags. This is an awesome idea for easter gifts for my little one's class! My email is brineye@ecu.edu. Can you email those to me? Thank you so very much!!! I'm an email recipient and just signed up to follow you on Pinterest. Not sure if you still will email some tags but I'd like the Bunny Tails. Now I also have to ask if you could share where to get these plastic tubes? Thanks and I love what you all do. I would love your tags. I follow you on pinterest. Hi! I love the bunny tails tag. I follow you on Pinterest. Such cute ideas!! I'd like your bunny tails & the peeps tags, too, please! Thanks so much for helping others this way for Easter! Please send me the link to download the printable bunny tails. I have 7 grandchildren and fix school favors for all. Thanks.